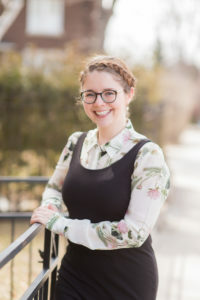 As the face of Toronto Centre for Naturopathic Medicine, Dayle will ensure you are well cared for. Her warm manner, professionalism and attention to detail and will provide a clinic experience that is friendly and efficient. A recent transplant from the West Coast, before making Toronto her home, Dayle owned and operated a sewing studio in Vancouver providing niche manufacturing for local designers and film sets. She has a lifelong interest in natural health and wellbeing, and is excited to offer you the care and support you need in your journey to health (or optimal wellness). When not at the Clinic, Dayle enjoys road trips with her partner, playing board games with friends, volunteering with young children, and tiring-out her dogs, Lester and Rusty.